Lack of time, lazy to cook….here it is, a wholesome recipe that comes in handy just for you when in a hurry…a spicy hero that sits smart by the side of idlis, dosas and steaming hot rice. And listen, don’t hesitate to sandwich this spread between slices of bread! Curry leaf is a rich herb with excellent nutritional value and a key ingredient in countless varieties of dishes. Yet, more often than not, it is discarded while eating. This spice powder can therefore be sneaked into most types of dishes….gives that added “zing” making them delicious, nutritious and full of flavour. Salt taste 1 tsp approx. A drop of oil can be used for roasting red chilies only. Dry coconut can be roasted last. When you are done with roasting all other ingredients, turn off the flame. Heat that still remains in the pan after switching off the flame is enough to roast dry coconut. Powder them coarsely. Store in an absolutely dry air tight container. Seasoning for this powder is optional. 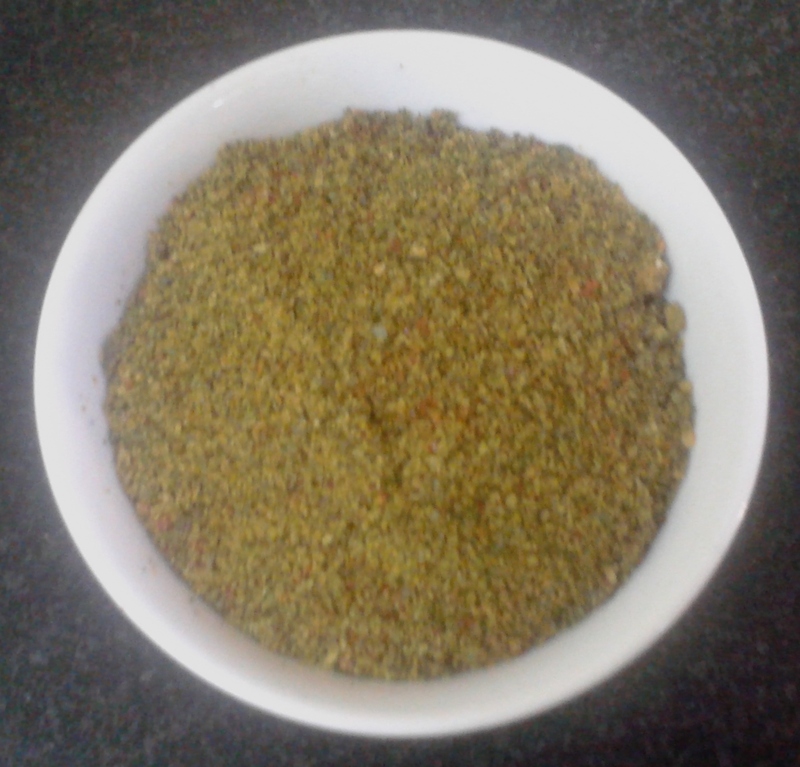 Curry Leaves Chutney Powder is especially good for health during winter season. Dry fry washed and dried (indoors) curry leaves with jeera seeds, powder it and have a tsp of this powder first thing in the morning and/or just before going to bed. This helps regulate bowel function. Please note that this tip is not a medical prescription from us but mere sharing of a leaf from our life experiences!